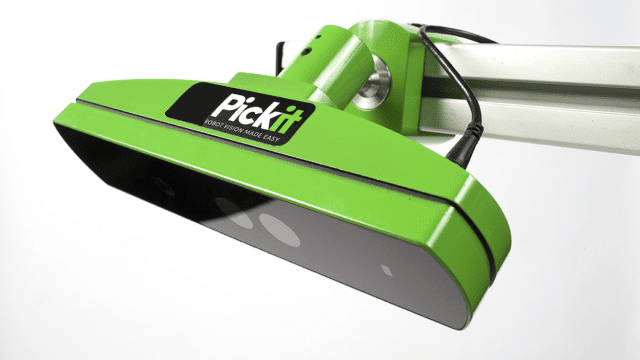 Pick-it is a plug and play product at a fixed price that guides your robot to pick and place a wide range of products in different applications. 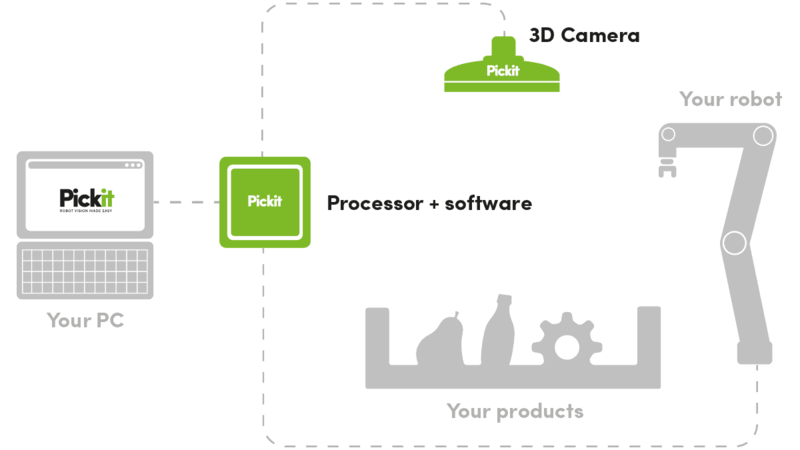 The 3D camera and Pick-it software detect the 3D position, orientation and dimensions. Pick-it does not require extensive training and can be operated by non-vision experts. Pick-it finds products of varying sizes and shapes, in matte and glossy colors and it even keeps working in changing and poor light conditions. The advantages for you are product flexibility and a fast and easy set-up.